"Human and Nature --Zhengzhou China International Sculpture Exhibition." Carole's sculpture, "A Fine Balance," has been selected for the “Human and Nature”--China·Zhengzhou International Sculpture Exhibition"
Carole is featured in "Tatil Izle" video, talking about her sculpture created last summer on Marmara Island. 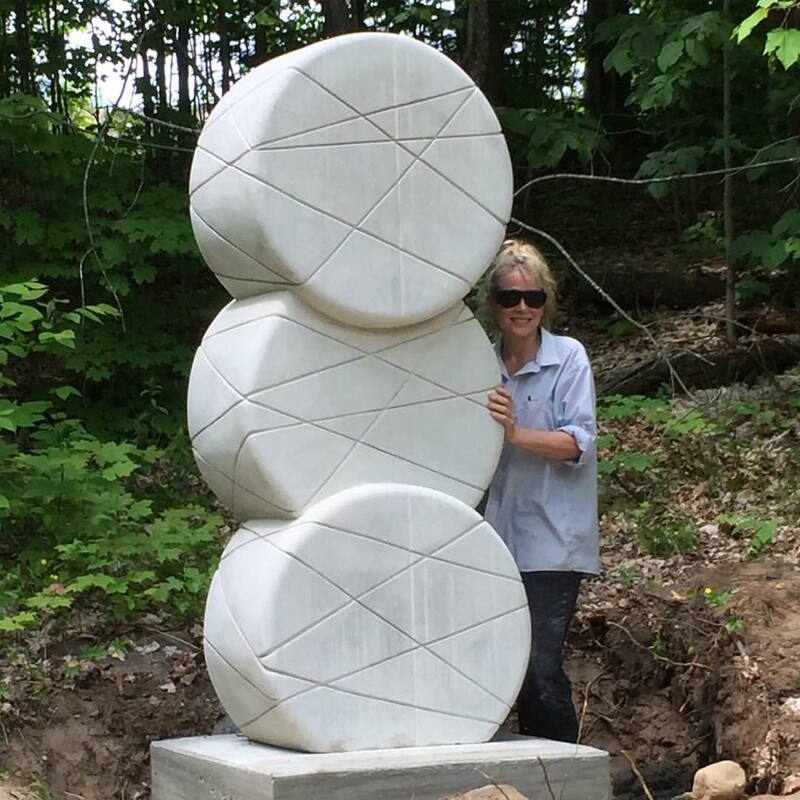 Carole's new sculpture, "Storied Moons," is installed in the Haliburton Sculpture Forest. An event of "Carved on the Canadian Shield"
​Visual presentations by each of our four distinguished symposium participants, in which they will share the highlights of their sculptural work and creative process. Carole's prints are included in the Creartive Istanbul Printmaking Exhibition at CKM - Cadebostan Kultur Merkezi February 17 - 22, 2017. Carole's sculpture, "Moonset," is ready for installation in Cairo. Carole's solo exhibition, "What Remains," opens at Andres Institute of Art in Brookline, New Hampshire. 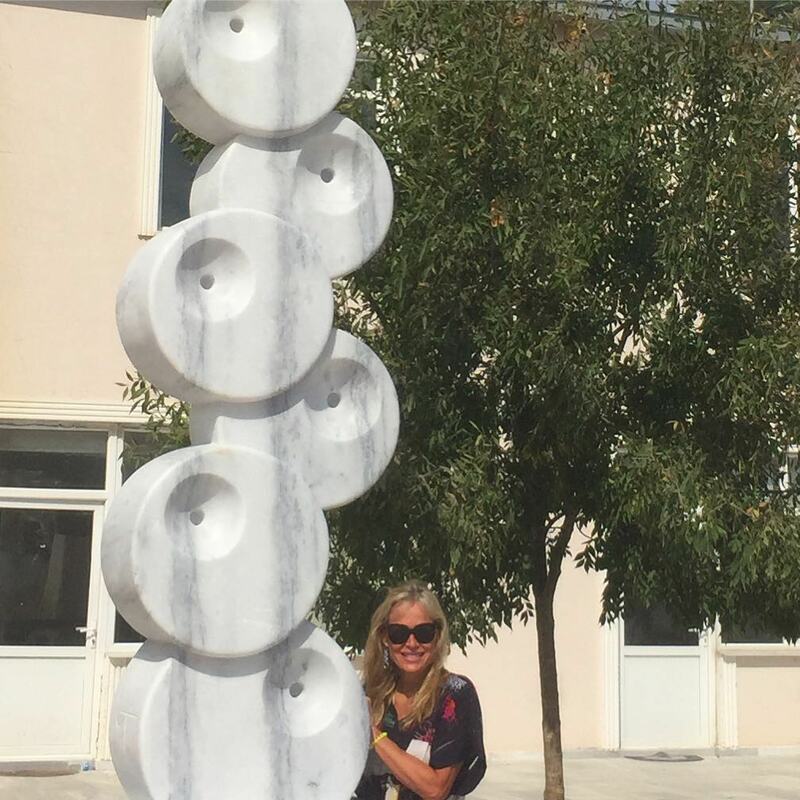 Carole's sculpture, "Dream," was installed in Silifke city center. Carole created "SEVEN," of weathering steel at the Andres Institute of Art. In Crete, Carole carved a new sculpture, "Who We Thought We Were," of Thassos marble. Carole is in Silifke to carve a new sculpture, "Dream." Carole and her sculptures are featured as part of the TRT World "Showcase" story on the Grand Pera Cercle d'Orient renovation and reopening. Carole's sculpture, "Moon Dance," is exhibited at the Grand Pera Cercle d'Orient on Istiklal. Carole's sculpture, "Moon Shadows," is featured in the Elgiz Museum of Contemporary Art Terrace Exhibition, "Fugitive Shadows," May 31 through November 12. 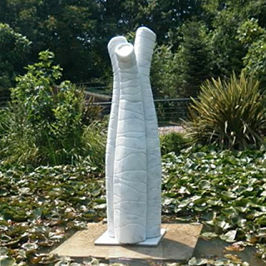 Carole's sculpture, "Convergence," is exhibited in the "Tide Wonders Excellent Artwork Exhibition" in Haining, China. In Santiago, Carole created a sculpture for El Manantial Cementerio Parque in Maipu, Santiago, Chile. The sculpture, "Fraternity," is made of travertine and is 250 x 65 x 65 cm. 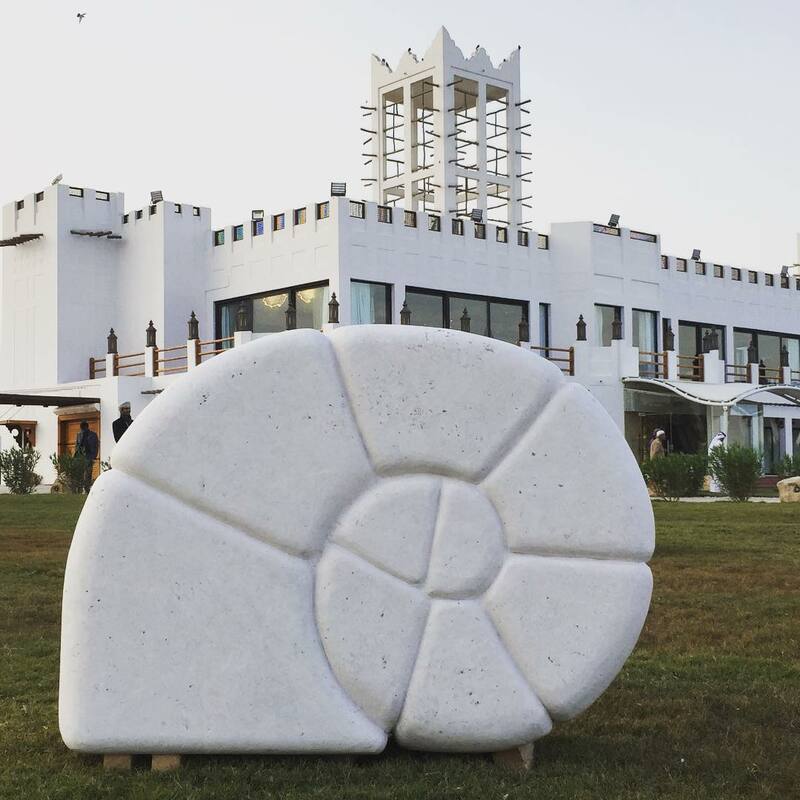 Carole's newest sculpture, "Wavelength," is installed at the Aspat Temera Beach Resort. The sculpture, made of Mugla marble, measures 170 x 200 x 80 cm. "Voices," Carole's sculpture consisting of two figures made of wrapped steel, is part of the Elgiz Museum of Contemporary Art's Terrace Exhibition. The sculptures measure 260 cm and 250 cm. Carole went to Mumbai to create a new sculpture, "Monsoon Moon" for the Kanu Nyak Art Foundation. 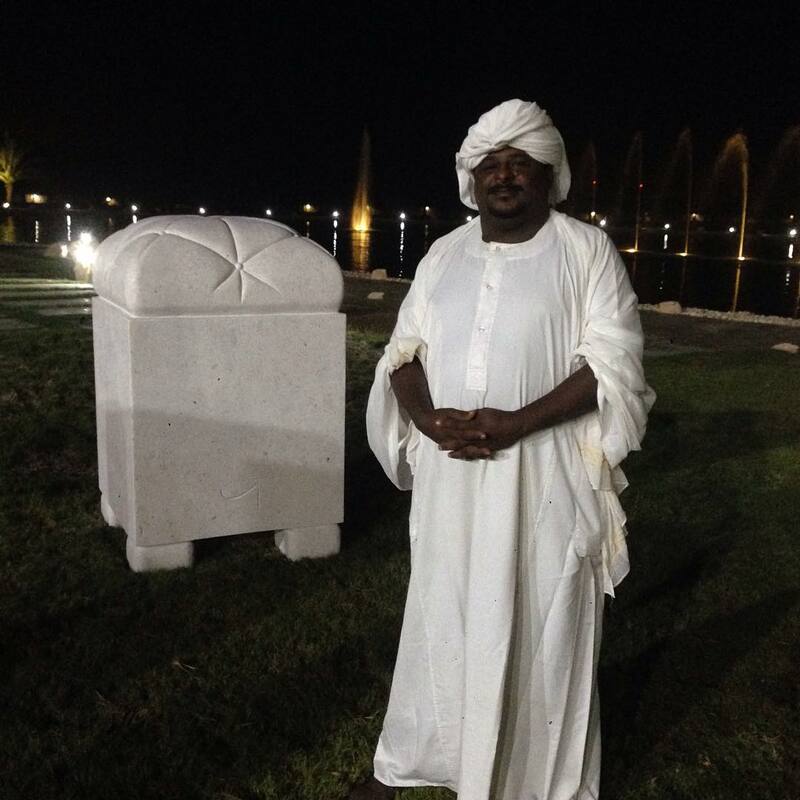 The sculpture is made of marble and sandstone and measures 330 x 240 x 75 cm. 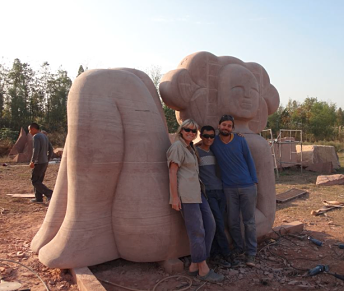 Opening Reception December 6 at 6:30 p.m.
Carole is in China to carve "Cloud Twins," a 350 x 350cm stone sculpture. 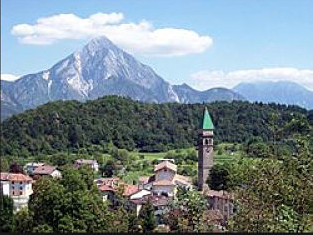 Carole is in Verzegnis, Italy to carve a sculpture in the beautiful Rosso di Verzegnis marble. Carole's newest marble sculpture, "Trumpet Trio" (Elephant Bathers) - is installed in Doğa Park, Sapanğa, Turkey. 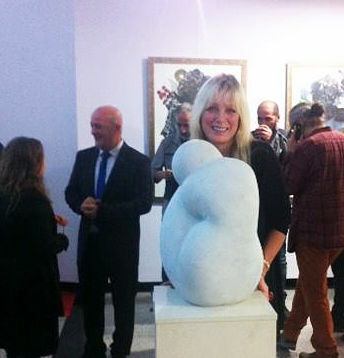 The Opening Reception of "Pofuduk," Carole's Solo Exhibition at Galeri Selvin. 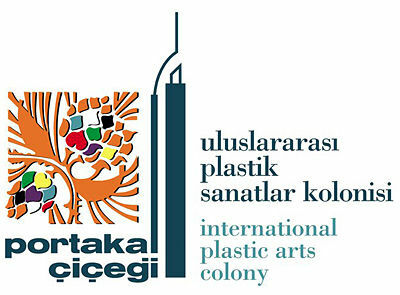 Carole is in Sapanğa, Turkey for Portakal Çıçeği International Plastic Arts Colony.